How to uncover the simplicity and science of spelling. Spelling for Life is a highly acclaimed internationally recognised teaching and learning program suitable for teachers of middle primary children. Those in special education, speech pathology, homeschooling and educational psychology are also keen participants. 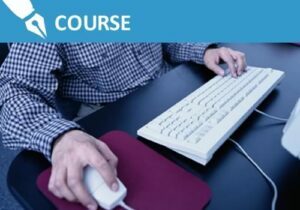 The course, done at your own pace, comprises eighteen lessons in five topics, including video guides, related resources, lesson plans, quizzes and worksheets. All prices quoted in Australian dollars. Please contact us for other currency quotes or bulk discounts. 4. Within the next 24 hours you will receive instructions on how to log in and begin your course. Usually this will take far less time than 24 hours, but this is a manual, not an automated process, and so we have to be at our desks at the time! 5. If, within 24 hours, you do not receive a response from us, please contact us and let us know. 6. If you wish to start immediately, you can try calling us on (61) 3 5976 8465. This is a Victoria, Australia number, so please be aware of the time difference.